More than 2,000,000 musicians are now using the Piascore! iPad Pro, iPhone8 / iPhone8 Plus Ready! 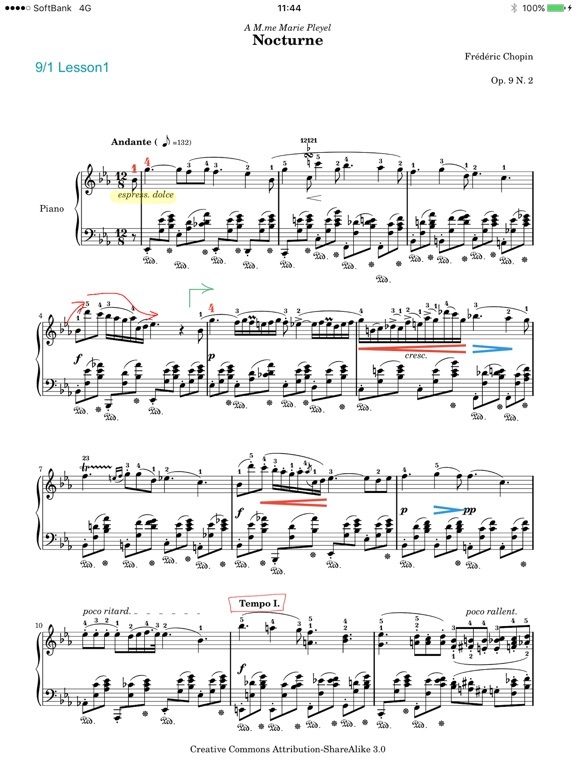 "Piascore" is an iPad/iPhone application for browsing digital musical scores. Piascore's concept is "VIEWING MUSICAL SCORE FROM EVERYWHERE - ANYWHERE, ANY TIME". Here comes an application which solves EVERY SINGLE problem that music performers have ever encountered. No more trouble of carrying loads of scores and looking for your favorite one. By developing original engine, page turning speed of Piascore quicken. Many user interface is easy to use including one tap first / last page turning. Cropping page feature enables you to read more easily. Password-protected PDF file is supported. You are released from stressful page turning! Automatic vertical scrolling turns a page on your behalf. Of course, you can change scrolling speed. You can transfer them to Piascore via iTunes. Piascore also supports any cloud file service such as Dropbox, camera capturing and web search. You can manage a lot of music scores by tagging and setlist. There are powerful sort and keyword search. You can rearrange pages freely. If you want to jump any page directly such as repeat, you can put a page jump button on a page. The metronome supports your practice. Very useful tools for musician. Virtual keyboard, chromatic tuner, music player (iTunes) and voice recorder. Printing (AirPrint), sending mail with writing down notes. : Digital musical score store "Piascore Store"
You are able to purchase a digital musical score in Piascore! We offer folk songs, classic music and easily arranged songs. Because you can search by genre or artist, finding a song you want is easy. You can browse a score with watching movie on YouTube. It is more enjoyable and useful to study music. Piascore has powerful page turning mechanism called 'Air Page Turning'. With an iPhone app "Piascore Air", you can turn pages via wireless. Please check out this video for details. You can turn pages by foot. Simon Schindler (conductor), Fulda Symphonic Orchestra, 2000.